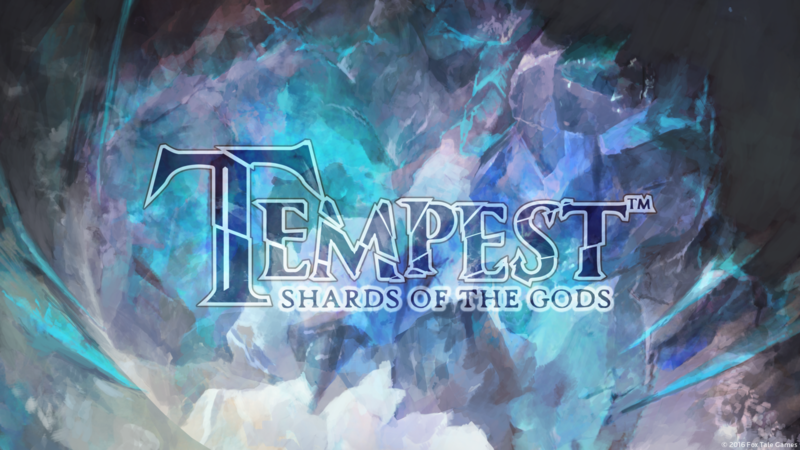 It was one year ago (3 July 2015) that Fox Tale Games was created and I began in earnest to create Tempest: Shards of the Gods in its current form. Of course, the game was in development as long ago as January 2015, and elements of it were in a previous iteration of the game back in 2007 (which was designed for an online “play by post” roleplaying game). 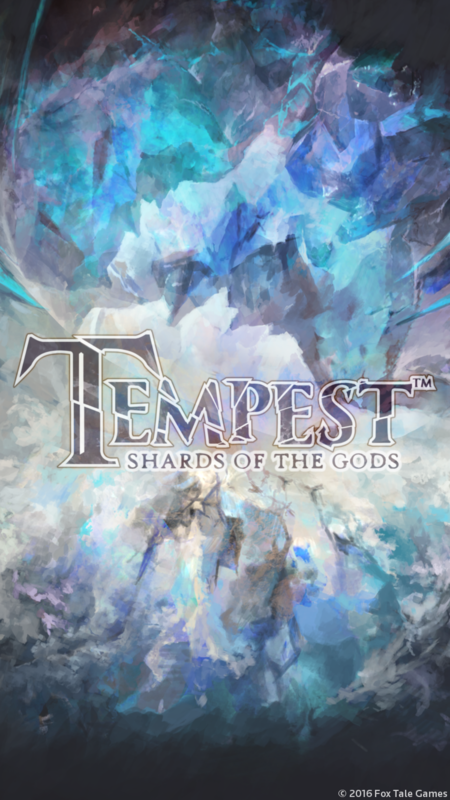 However, the mythology of the game, and the first of its artworks, began in July of 2015. The game as it stands now has been through hundreds of hours of playtesting, and will go through hundreds more before it is finished. 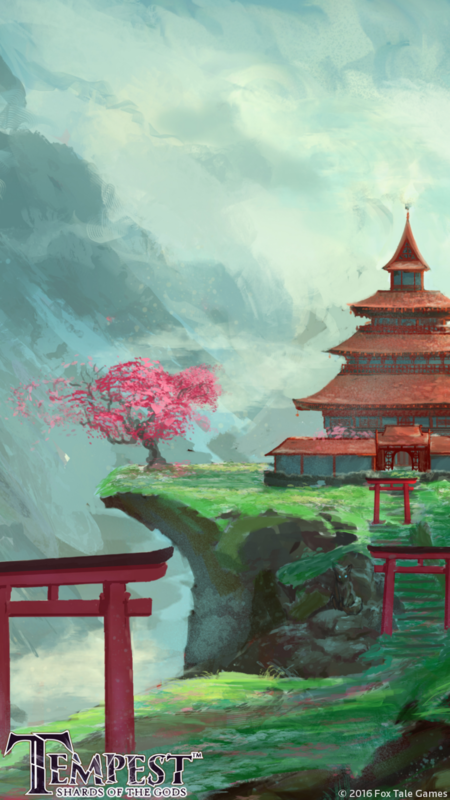 It has demoed at five conventions and included illustrations from artists around the globe. 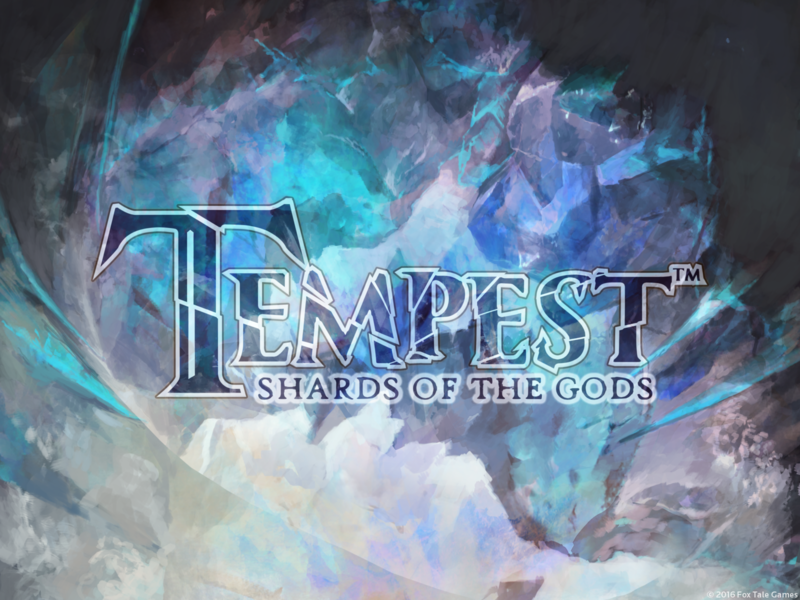 As for the status of the game, Tempest remains in alpha testing for the time being. 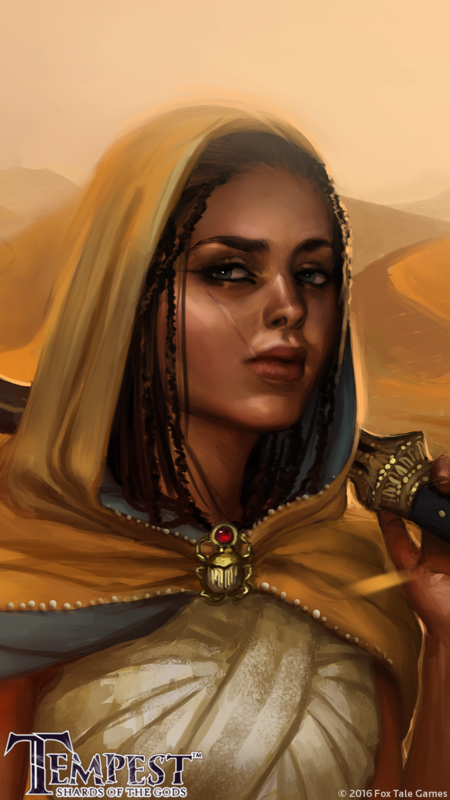 The Egyptian faction has been 100% illustrated, and the remaining three factions (Norse, Japanese and Greek) are on their way to completion as well. 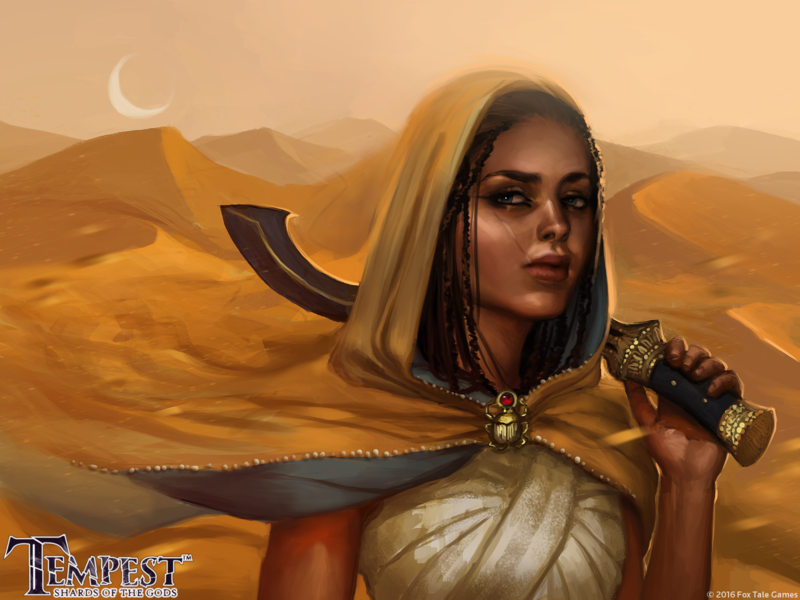 Playtesters are currently working through the fifth build of the game, which is simpler and more streamlined than before – losing “victory points” in favour of the popular “smoosh your opponent into the dust” method of winning. Why the change? We found that the victory point abilities were forcing players to play cards in certain ways. This was narrowing the possibilities and combos in the game, rather than opening them up, and it was narrowing the stories being told using the cards as well. Players should be encouraged to play ancient heroes like Miyamoto Musashi in specific ways, but in balancing the incentives we made the cards useless for all but a very narrow playstyle. This year, I will be trying something different with these news stories. Because the game has gone through a fundamental change, I will stop presenting it as it was before: a product finished but waiting to be sold. These stories will read more like a development diary instead. If you are interested in a condensed version of these entries, the newsletter will shift its focus to a summary of development progress. You can subscribe over on the right to keep up to date. 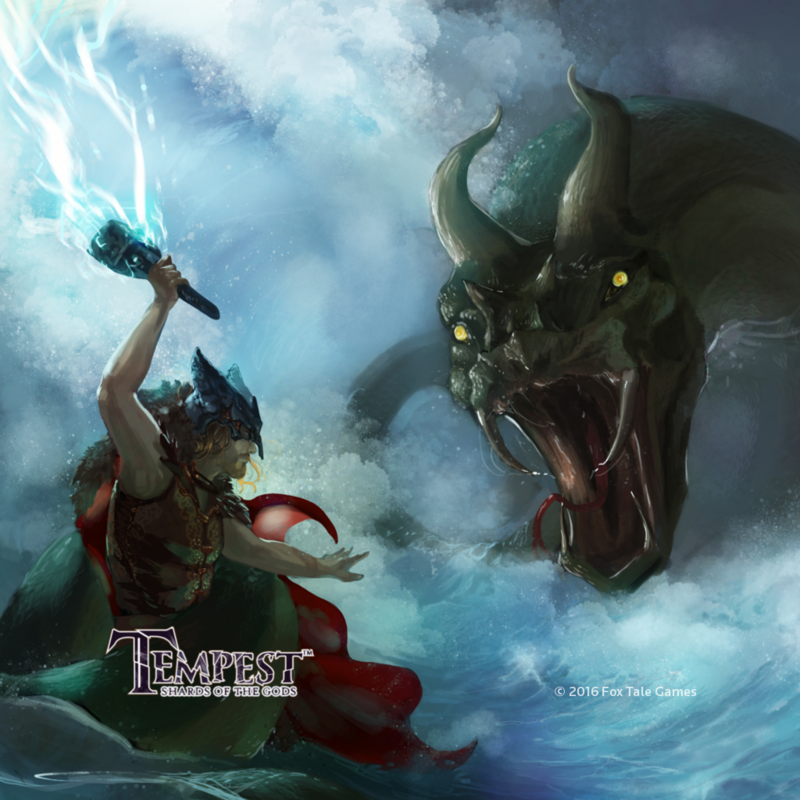 Tempest has art from illustrators from across the globe. 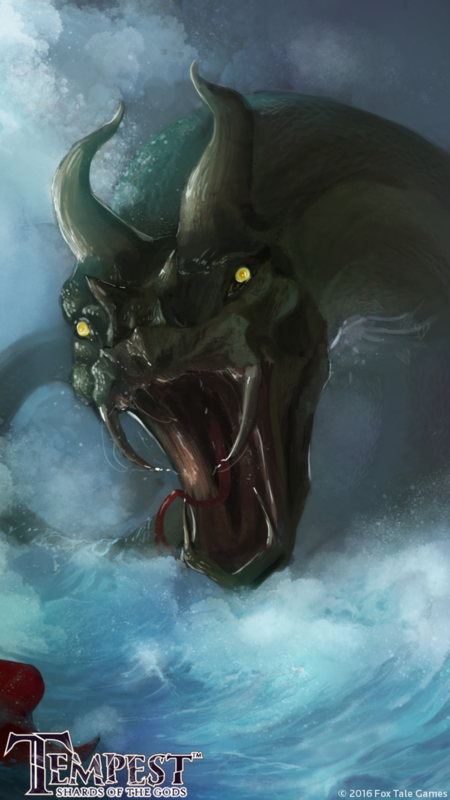 At all stages, we have tried to commission the best quality art possible, bringing mythological elements into realistic historical settings. 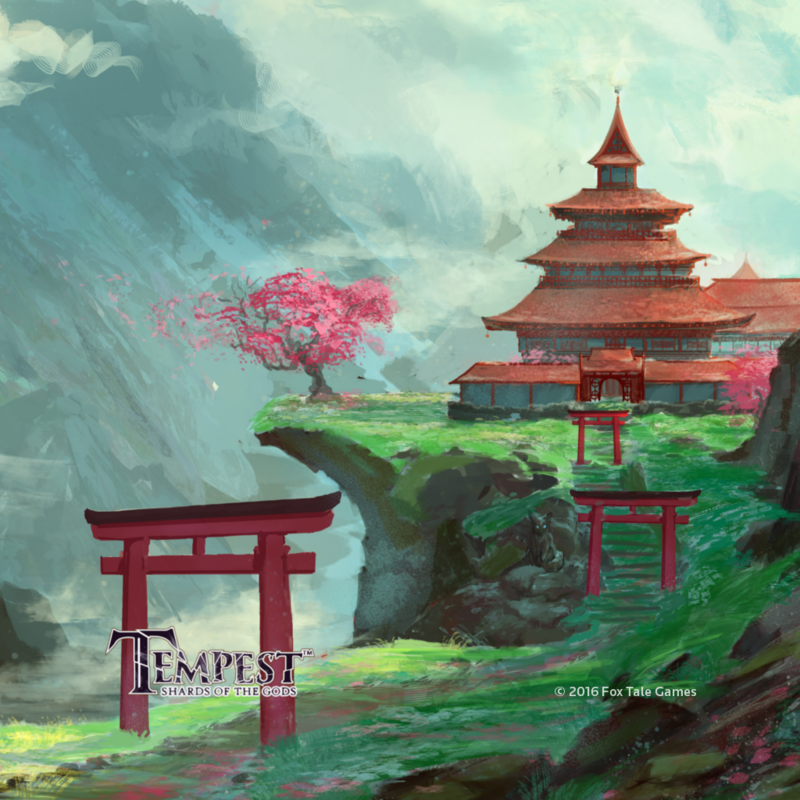 These wallpapers use art from Pui Che, titled “Tempest”. This image will make up the backs of the cards used in the game. 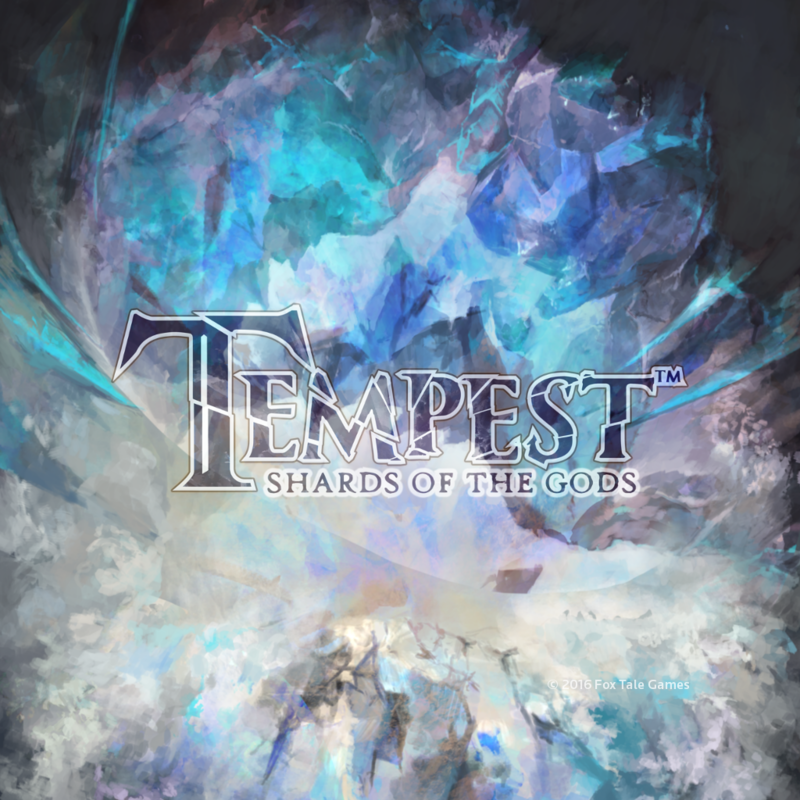 The icy image takes on the idea of “shards” and combines it with “tempest” (as in “storm”). 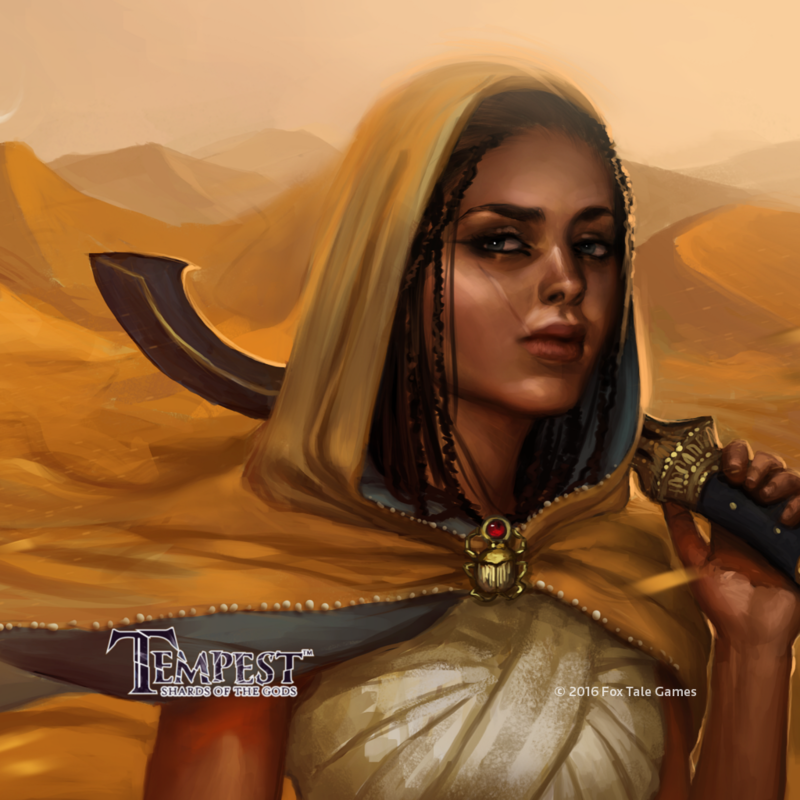 These wallpapers use art from Dee McLoughlin, titled “Cloak of the Sands”. 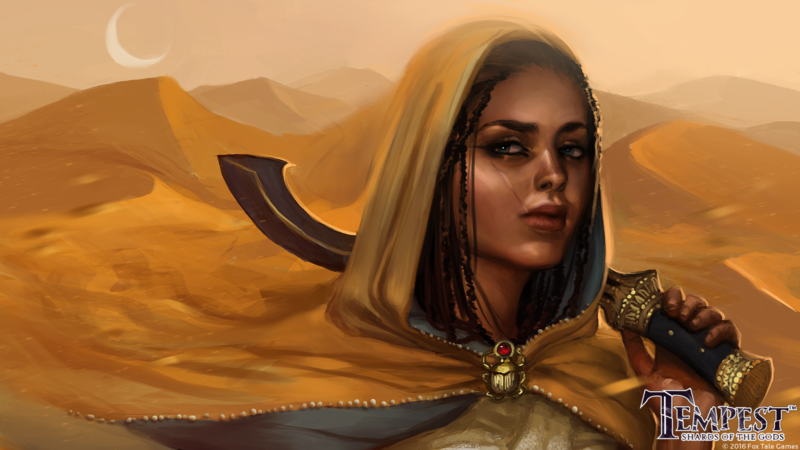 In game, the Cloak of the Sands is an Egyptian upgrade that can be attached to your Troops, enabling them to use the desert’s sands to hide from enemies. The image shows an Egyptian soldier blending magically into the desert. 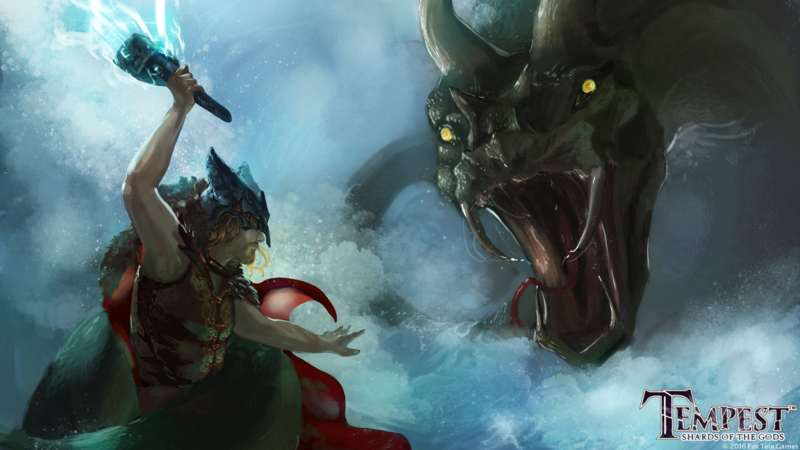 These wallpapers use art from India-Lee Crews, titled “Ragnarok”. 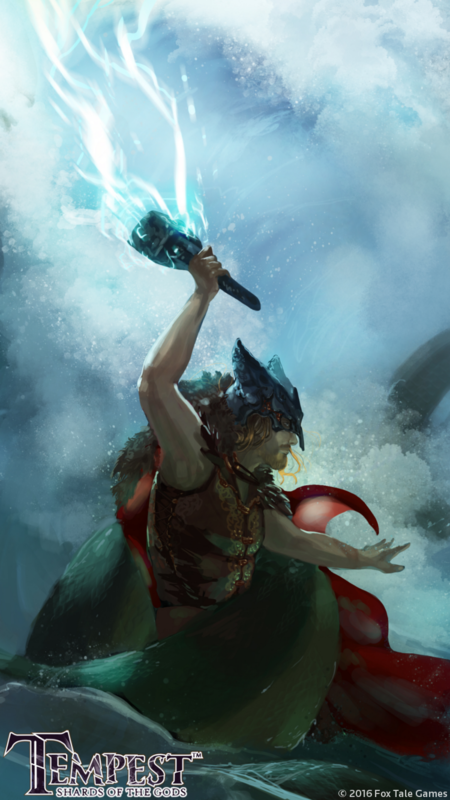 In game, Ragnarok is a Norse card with devastating potential, bringing troops of both sides to a final, climactic battle. 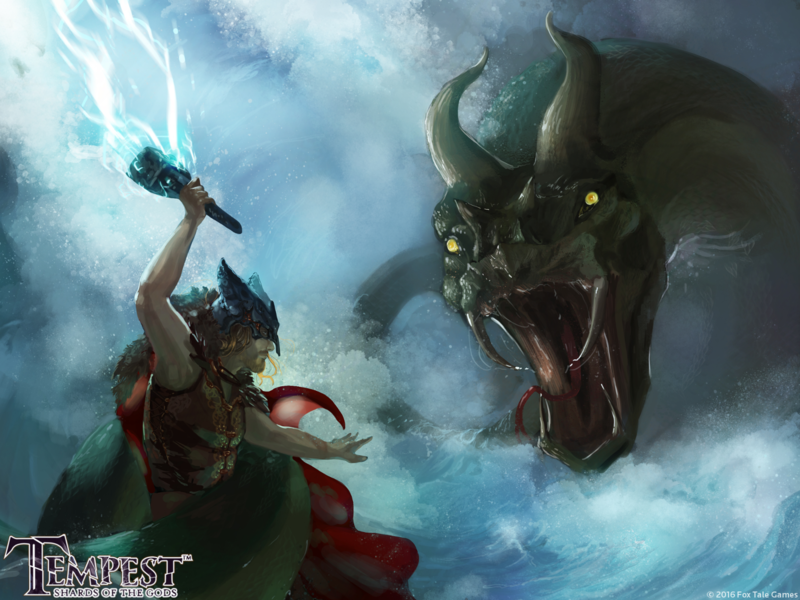 The image shows the god Thor (or his human avatar) battling the serpent Jormungandr. 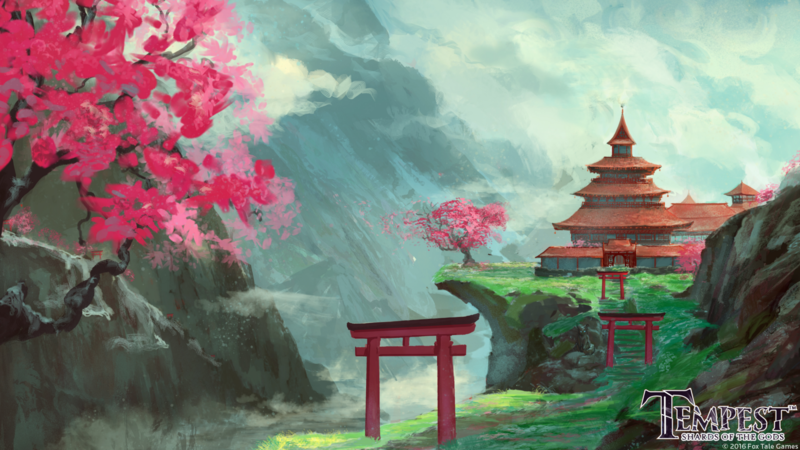 These wallpapers use art from India-Lee Crews, titled “Shrine of Cherry Blossoms”. 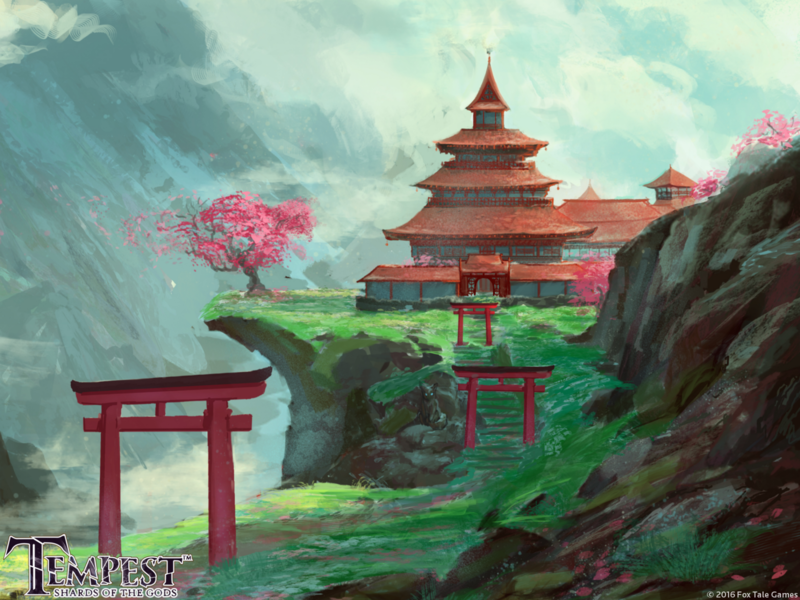 This art is used in Tempest on the Japanese Temple Shard of the same name. This Shard comes with a number of cards that are used to protect your troops against trickery, spells and events.